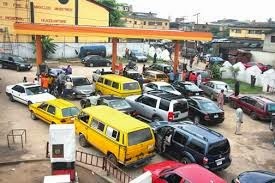 Indications have emerged that the current fuel crisis will persist as banks are unwilling to open letters of credit (LC) to finance importation of refined petroleum products, without a clear direction from the incoming government concerning the issue of subsidy. A major player in the downstream sector of the nation’s oil and gas industry who does not want his name in print, informed ThisDay that most banks have now classified subsidy as huge “political risk” which none of them is willing to bet on; especially going by the mixed signals coming from the incoming government as it relates to subsidy. He also revealed that the devaluation of the naira late last year created added burden on the banks as most of the marketers have been unable to pay the differentials on the loans following the devaluation since the current value is different from what the exchange rate was based on when they were taking loans to finance fuel import. He disclosed that no marketer wants subsidy as it is because whichever way it is viewed, it is not in the interest of marketers. He explained that if the landing cost of fuel is N125 and the government says it must be sold at N87 per litre, it does not mean that marketers are making massive profit. “Let’s say the actual price for PMS today is N125 in the international market including landing cost and so on and government says ‘please, you must sell at N87. Fine, you go there, the bank funds you, the bank will now pay the trader, the trader goes, you bring and sell at N87. The federal government brings the balance. But the profit of a marketer is N1.60. All this nonsense they are talking about huge profit is not there. There’s no money. The profit is N1.60 unless maybe you are somebody that has a jetty. When reminded that labour unions might kick if subsidy was removed, the marketer said labour has never been a problem; adding that what they wanted was sincerity of purpose concerning how the money saved from the removal of subsidy is expended. “The issue is that if this. Just like they created PTF that Buhari managed; if they can create a successful fund management system that can manage these funds and then remove subsidy and then whatever you want, go and build infrastructure. If you can build a rail-line from here to Calabar, from here to Sokoto, Nigerians will be happy.